NEW! Bahco P16-60-F Loppers - Fruit Tree Pruner - 600mm Length. 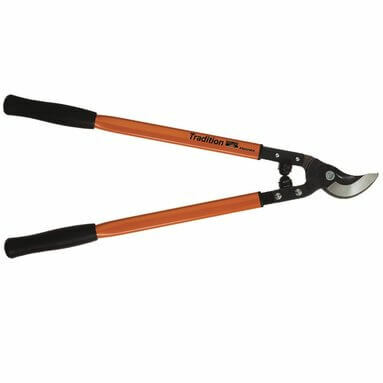 Bahco fruit tree bypass lopper - for pruning and training both grape vines and fruit trees. Robust steel handles with soft rubber buffers for comfort..
Curved and forged counter blade provides powerful slicing cut.